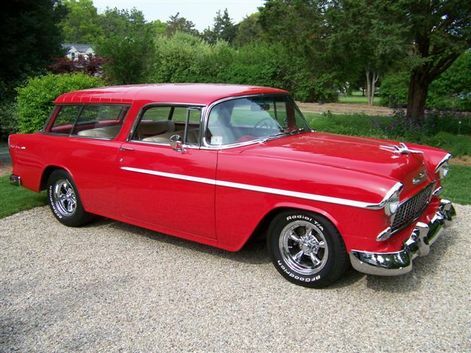 I have a 56 Nomad. I need a measurement. above the rear axle, where the wheel house meets to cargo floor, there is an alignment hole. measure from that hole to the fender, just above the lip detail [inside]. on my Driver side I have 15 5/8, on the pass side, I have 15 1/8. that is a lot of difference. I need to know which is right or wrong. most likely a 57 would be the same. On my 56 the passenger side is 16 3/4 to the outside of the fender lip above center line of the tire. that's with the car raised to get a tape measure over the top of the tire. I couldn't raise the other side to measure the driver side but when the car is on the ground and on its wheel it is 5/16 more on the drivers side compared to the passenger side from the tire bulge at the outer lip of the fender. When I was reassembling my 55 during the frame off restoration, I had to spend a bit of time centering the body on the frame, if I remember correctly, there was a good 1/4" of movement side to side between the body and the frame. This would equate to a 1/2" difference side to side when measuring axle flange to fender lip. There was also some movement in the axle centering, but not nearly as much. I don't know how careful the assembly line was to center the body when the cars were originally built, or if the body been off the frame at some point, but that is probably what you are experiencing, the body isn't centered on the frame. Instead of measuring to the center of the tire, measure like spots from the frame to the body, such as the rocker pinch welds, that will tell you what is going on. the measurement is needed for sheet metal to sheet metal. the frame has no part of the wheelhouse.